I'm behind on my reading recaps. Also, I haven't been doing that much reading...oops. In March I read To Kill a Mockingbird- Harper Lee. And I loved it! I had never read it before, it was never a school assignment for me. I wonder if that had something to do with how much I enjoyed it? Maybe if I had to read it for homework, and then dissect it in class, and memorize quotations to include in an essay, some of the joy of reading it might have gone away. But instead I just got to soak it in and fall in love with soulful Atticus and the innocence of his children and notice on my own (not because the teacher said so) the importance of this book. And then I couldn't read anything else for a while afterwards. What can capture your attention in the same manner after that text? In April I didn't read anything (bad Shannon) because everything else seemed too fluffy and just kinda paled in comparison. Plus I was blogging 6 days a week for the A-Z challenge and I just didn't have the time or energy. I think I'd like to go back and re-read some of the assigned books from high school that seemed tedious or boring and see if I would enjoy them more now that the pressure is off. Ficciones- Jorge Luis Borges- a collection of short stories that read like an encyclopedia. The only story I enjoyed was The Lottery of Babylon which was crazy and confusing and violent but readable. Metamorphosis- Franz Kafka - The man turns into a giant gross cockroach. I don't care what the message was, I was not getting on board with that. It's a new month and I am back on the reading train. 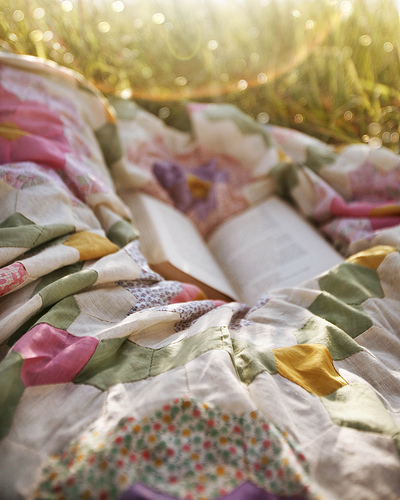 May will be much more successful, there's nothing more relaxing than laying out in the sunshine with a good book. I was just suggesting Wide Sargasso Sea to someone! Love that book! Me too! And I feel like a lot of people haven't heard of it- which is strange.